A little western flair and Born comfort come together in the Born Dallia. 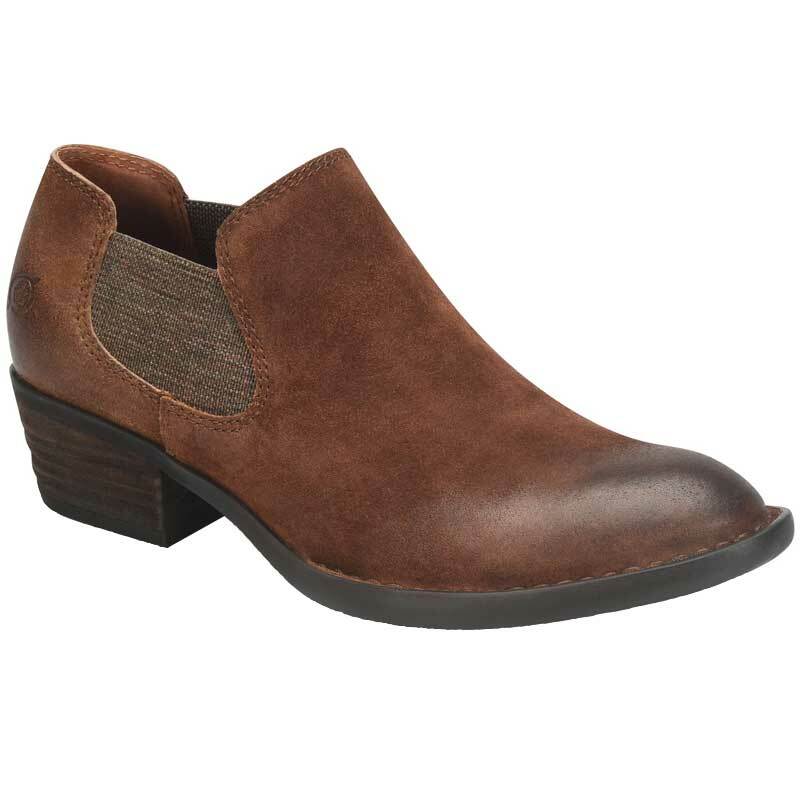 This women’s heeled bootie has a beautiful full grain or distressed suede leather upper shaped into an easy slip on design. Dual side goring makes it easy for on/off wear. The leather lining is soft against the foot and the footbed is cushioned from heel to toe for full foot comfort. The Dallia is crafted from Born’s Opanka construction. This ensures a flexible and secure bond without weighing down the shoe. The rubber outsole provides underfoot protection and stability and the 1 1/2 inch stacked heel gives you a little height but is still sturdy and comfortable enough for all day wear. The Born Dallia is as comfortable as it is versatile so don’t pass it up.